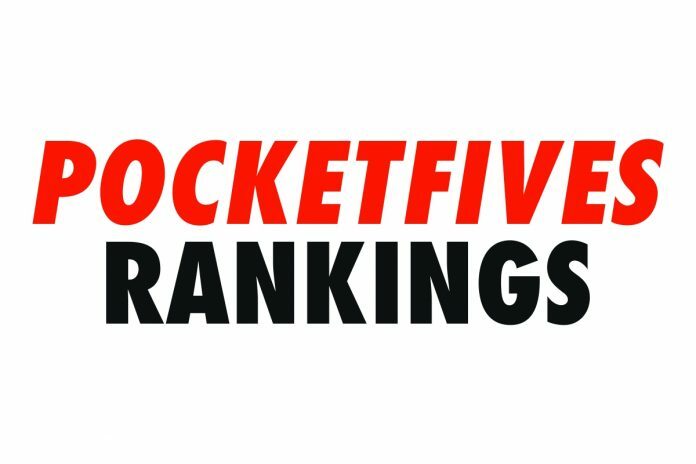 Perhaps the attention of the poker world is transfixed on the happenings of the World Series of Poker Main Event or perhaps it’s simply a wonderful week to go on vacation, but this week is yet another week of minimal movement in the PocketFives Worldwide Top 10. In fact, the nine out if the top ten players in the world retain their exact same rank as they did last week. This includes Sweden’s own ‘lena900’, who maintains his position as the #1-ranked player in the world. For ‘lena900’ not only did he maintain his position, but he also, somehow, managed to keep his exact same PLB points (12,662.67). While the Swede did not manage to accumulate any PLB-qualifying scores, he was back on the grind this week. He picked up two podium finishes this week including a victory in the bwin.com Sunday Omaha Main Event High Roller for an even $10,000. He backed that up on the same day when he took third in the July 8 edition of the bwin.com Super Sunday High Roller for another $12,000. The lack of movement didn’t really matter this week as he still holds an over 1900 PLB point lead over countryman ‘C Darwin2’. ‘C Darwin2’ also had a quiet week on the PLB point front, but he did cash for over $29,000 this week helping him continue his march to $10 million in lifetime earnings. Also like ‘lena900’, the top-tier pro did not suffer much of a PLB point loss, having only slipped less than one total point. One of the biggest questions in the past month or so regarding the Top 10 has been – where is the #3 ranked Roman ‘Romeopro’ Romanovsky? It’s been nearly two months since the Ukranian pro has logged an online result. That was back in May when Romanovsky logged a career-high score of $442,299. Perhaps he’s simply still enjoying the spoils of his spring series run good. Russian crusher ‘hellohellohello’ continues his run as the #4-ranked player in the world. This is thanks in part to his third place finish in the PokerStars Sunday High Roller for $17,753 and 179.19 PLB points. While he did not put in an overwhelming amount of volume, he did rack up 11 total results this week – seven of which were worth four-figures or more. Andres ‘probirs’ Nemeth only really took to the online felts on Sunday, July 8 and his results for the day were minimal. He ended the day with three total cashes and without any relevant PLB qualifying scores. Last week he held a nearly 200 point lead over the #6-ranked ‘GINS FINEST’, but this week that lead has degraded to just over 25 points. His decrease in PLB points is simply because of aging scores and not due to anything Canadian ‘GINS FINEST’ did this week, as he did not make a single appearance online this week. Ramiro ‘Ramiro’ Petrone (#7), ‘Ariados’ (#8) and Michael ‘mczhang’ Chi Zhang (#9) all kept their ranking without putting in any volume online. For UK’s Zhang, his excuse is that he is wrapping up a stay in Las Vegas where he participated in the World Series of Poker. So, while he didn’t make any money in online poker, he did manage a 24th place finish in Event #71: $5,000 No Limit Hold’em for $13,110, the same event that wrapped with Phil Hellmuth taking home gold bracelet #15. The one and only change to the top 10 in terms of players this week is Uruguay’s former #1-ranked player Fabrizio ‘SixthSenSe19’ Gonzalez rejoining the top 10 at #10. His rise was due in part to a runner-up finish in the partypoker Super Sunday Deepstack High Roller for $17,500 and 208.63 PLB points. Finally, keeping with the theme of this week – there were no other significant movements in or out of the top 25.